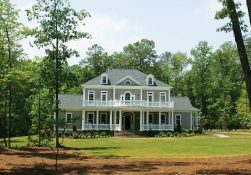 A wooded, estate-sized homesite community in Williamsburg, VA. Imagine your dream home. Every detail is yours to choose. Every window. Every angle. Every texture. Now follow your dream to Liberty Ridge, where our remarkable real estate demands equally extraordinary estate homes. Here, you’ll not only have the chance to design your home from the ground up, but the freedom to truly make it your own. As you’d expect in a community of this stature, architectural standards have been carefully crafted to protect its image, integrity, and longevity. We’ve paid close attention to reflecting the heritage of the area. Yet we intentionally opened the door to individuality—allowing a statement of your personal style unparalleled by other nearby communities. Our select team of the region’s premier builders will guide you through every phase of the construction process, from conception through completion. View the interactive community siteplan for Liberty Ridge.